American actress and gender-equality advocate Meghan Markle is now engaged to the Obamas’ favorite redhead, Prince Harry of Wales. Prince Harry has informed Her Majesty The Queen and other close members of his family. Prince Harry has also sought and received the blessing of Ms. Markle’s parents. 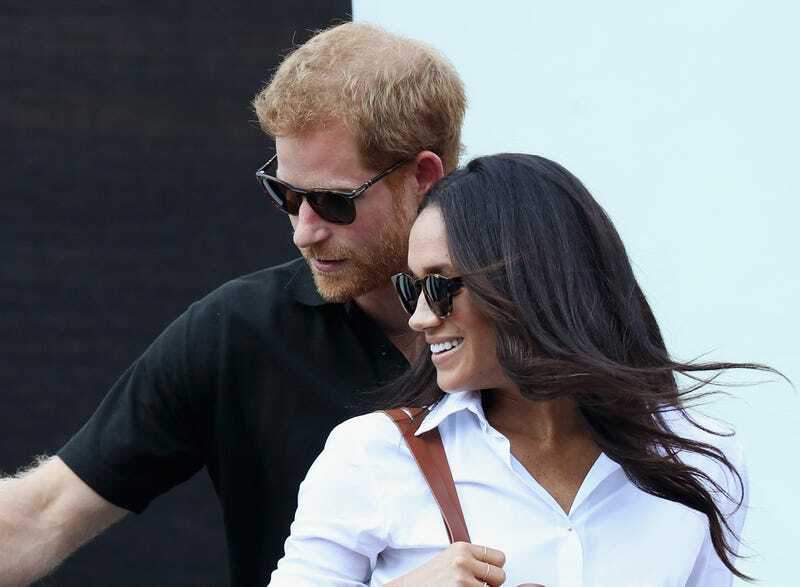 According to the New York Times, the couple have been dating for over a year—weathering the fevered scrutiny of the British press, whom Prince Harry has criticized for their coverage of Markle in particular. The tabloids were shocked that Markle, a “brunette,” would be Harry’s type (speculation that was noticeably absent in the conversations around Harry’s sister-in-law, Kate Middleton), with the Daily Mail calling the gorgeous Los Angeles native “a departure from Prince Harry’s usual type” and “not in the society blonde style of previous girlfriend.” The press also fixated on Markle’s previous marriage, her age (she is three years older than Harry) and her “raunchy scenes” on the show Suits. As a New York Times article from last year highlighted, the Daily Mail didn’t stop there. The rag also ran an article headlined, “Harry’s Girl Is (Almost) Straight Outta Compton: Gang-Scarred Home of Her Mother Revealed—So Will He Be Dropping by for Tea?” The piece painted Crenshaw, the Los Angeles neighborhood where Markle’s mother, Doria Radlan, lives, as a crime-ridden and “downtrodden” neighborhood and describes Radlan as being “visibly black, with dreadlocks.” Markle, whose father is white, told Elle in 2015 that she identifies as biracial. Harry appears to have evolved since then—directly confronting the British press about their treatment of Markle (a move unusual for the royal family), as well as becoming an advocate for mental-health awareness. As the Times notes, Markle, meanwhile, has done a substantial amount of charity work, including serving as global ambassador for World Vision Canada and working for gender equality and women’s empowerment. Frankly, Prince Harry married up. As CNN reports, the newly engaged couple will make their first official engagement appearance Monday afternoon. A joint interview will also air later tonight.